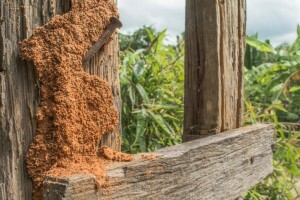 Termites are just one of the many insects that can ruin a wood fence. They lurk in the shadows, just waiting for the first succulent bite of your wood fence. They are so small that many times you don’t even see them slip in and out, you just see the damage that they leave behind in their wake. What are we talking about? Insects! Insects can turn a beautiful new wood fence into a damaged unattractive wood fence in less time than most people realize. Here are three of the most common insects that could wreak havoc on your wood fence. Almost everyone knows that termites love wood and can damage everything from wooden furniture to entire homes. Termites are small winged insects that dig tunnels as they chew through wood to get the cellulose contained inside. 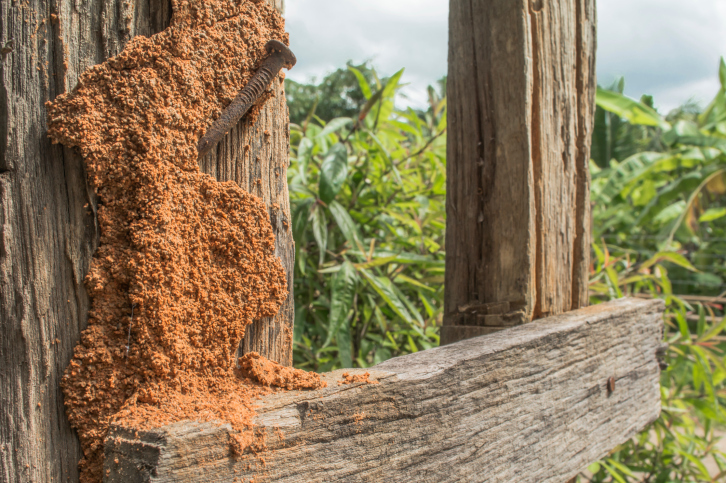 If your wood fence has termites, it may appear normal on the surface but turn to sawdust the moment that you put pressure on the outside. These insects are about a quarter-inch long and a dark brown/black shade. They dig holes into your wood fence to lay eggs deep inside. Once the eggs hatch, they continue eating the wood inside of your fence as their fuel. Powder post beetles typically leave behind a fine powder (hence their name) near the nests. While carpenter ants sound charming and helpful, they are anything but! They love your wood fence as a building material, not a snack. Carpenter ants typically build gigantic nests within the boards of your wood fence. These insects are many different colors including black, red, brown, and yellow. They often have wings and look similar to termites. Carpenter ants leave behind piles of wood shavings near your fence. This entry was posted on Friday, March 17th, 2017 at 6:53 pm. Both comments and pings are currently closed.